It’s inevitable… you will eventually have a roof leak or be faced with an emergency roof repair situation. 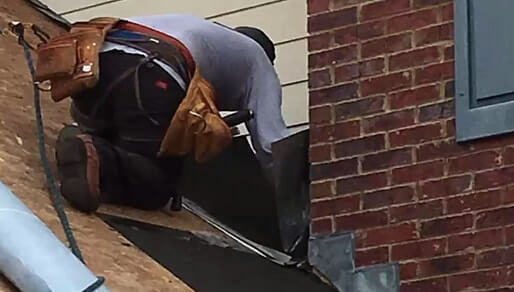 It doesn’t matter if you have the best quality shingles money can buy and you had the best qualified installation crew, you’re bound to have a leak, or shingles blown off your roof at some time. Especially considering we live in the Southeast and come Spring the violent thunderstorms come rolling through like clockwork. There’s actually quite a few reasons you could develop a leaky roof. From our experience, most times you don’t know about the leak until it’s been happening for weeks or even months… depending on how minor it is, and the location where the water is intruding into your home. Several of these reasons will probably surprise you. But believe me, we’ve seen them all. The issue with a roof is that nobody is ever on their roof to see any of these problems when they occur. Here’s a few of the unusual and common reasons we’ve seen water intrusion start on a roof. Wind damage – shingles blown off roof in a portion that’s not visible from ground. Nail pops – Nails will sometimes be pushed out of the plywood decking over time because of the expansion and contraction of wood, caused by cold and hot temperatures. Poor installation – Unfortunately we see this a lot. You’d be surprised how many exposed nails poor installers can leave eventually to start leaking. Bullets – Yep! That’s right! We’ve found more bullets stuck in roofs than I can count on both hands. Kind of scary isn’t it? We can attribute these to New Year, 4th of July, and too much alcohol. 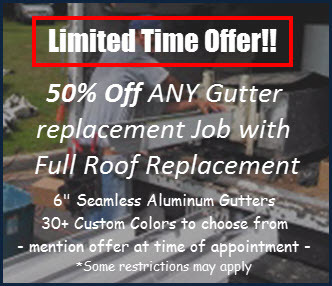 Roof maintenance neglect – It’s important to have a semi-annual roof maintenance done. There are several parts to your roofing system that need to have fresh caulk at least every few years. If neglected, the initial caulking will begin to fail and inevitably begin leaking water. Hail damage – It’s actually rare to have a roof leak from hail damage. But if you had big enough hail, it can crack the shingles matting enough to where it will eventually develop a leak. Especially in valleys or other critical areas. Squirrels and pests – Once a squirrel decides they want in your house, they’ll keep trying until they get in. Sometimes it means chewing and clawing holes in your roof. Usually are the perimeters. Bad design – Some roofs were designed with collections points to tie several slopes together. If these areas weren’t prepped properly with Ice and Water, they can develop leaks. I think some architects just didn’t think ahead with some of these I’ve witnessed. They just didn’t know what else to do. Ventilation leaks – Probably the most common leak we see is from dry rotted plumbing boots. They have a rubber seal that starts cracking, rotting and leaking after 8 – 10 years. There’s other issues that can cause shingle, metal, or even tile roofs to start leaking. Hopefully if this happens to you, it will be noticed before it has a chance to do more damage to framing, insulation, drywall and other parts to the interior of your home. It’s always the cheapest way out if you can catch it quick before it does additional damage. The most dramatic damage that can happen to your roof is from a serious storm rolling through, then blowing a tree on your roof. Not only will this scare the life out of you if you’re home when it hits your house, it can cause thousands of dollars in damage to not only the roof, but framing, structure, walls, cabinets and anything else that may be in its path. We hope this never happens to you. But if it does, don’t hesitate to call ResCom Roofing. It doesn’t matter what time it is, if you have a tree on your house, you need our help. Call us and we’ll be there to help get the tree off your home. Then we’ll install an emergency tarp to stop any further water damage from occurring until we can do the full repair. Fortunately, when this happens, in our experience most insurance companies are very helpful. They will pay for any costs incurred during the initial safety repair, emergency tarp installation, tree removal and any other expenses incurred. Just remember to keep every receipt if you suffer this unfortunate event. It’s already a traumatic experience, so make sure you have all your ducks in a row when it comes time for the insurance company to reimburse you for any expenses you’ve incurred. For any of these situations we’ve discussed in this article, ResCom Roofing is here to help. 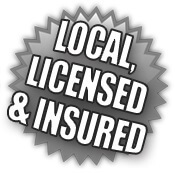 Call us to schedule your Free of Charge roof inspection. Don’t forget… ResCom will cover your assets. We look forward to hearing from you. if any kind of roof damage by wind or flying, We can repair roof or we should replace the roof?